From some of the award winning best recipes. 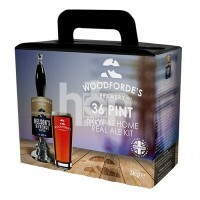 A fine range of ales made to recipes from an award winning Norfolk brewery which stand out for their superb hop aromas. No brewing sugar needed other then for priming for the secondary fermentation.